Expo ’90 (国際花と緑の博覧会 Kokusai Hana to Midori no Hakurankai ) or The International Garden and Greenery Exposition, organized as a part of the International Expositions Convention, was the first large-scale international gardening exposition in Asia and focused on the theme of the “Harmonious Coexistence of Nature and Mankind.” The exposition was held in Tsurumi Ryokuchi, Osaka for 183 days, from Sunday, April 1 to Sunday, September 30, 1990. The convention included participation from 83 countries and 55 international organizations and attracted over 23,126,934 visitors. Expo ’90 offered a festival of entertainment and education, pageantry and beauty, commercial hucksterism and floral magic. 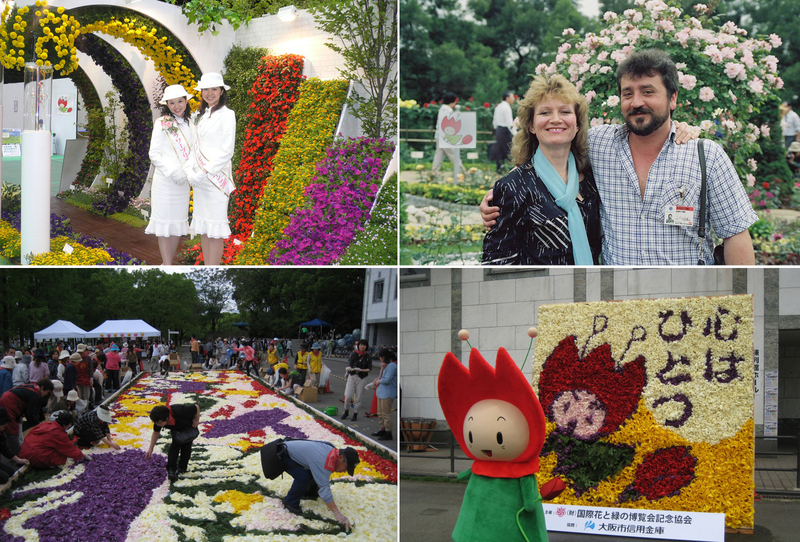 For some it was the flower show to end all flower shows, displaying more than three million different plants in every type of garden setting. For others, it was an international food fair, with nearly 80 countries serving up their delicacies. And, finally, it offered a glimpse into the 21st century: as has been the case with all recent world’s fairs, particularly those taking place in Japan, it was an opportunity for high-tech industries to show off their newest gadgetry. The United States is officially represented at the fair by the State of Hawaii exhibit; also participating are California, San Francisco and Chicago. 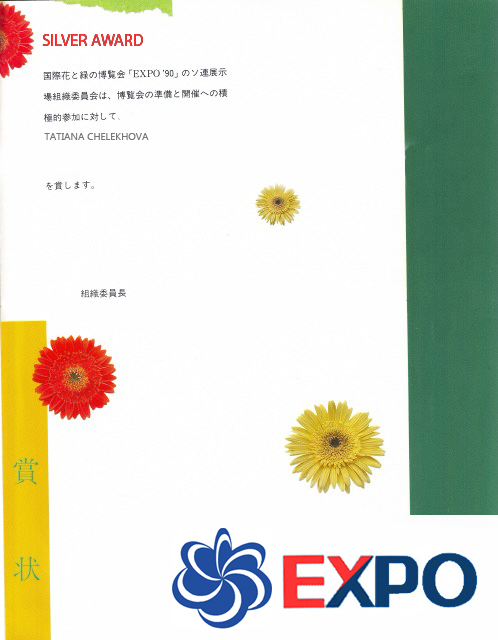 The fresh flower design project by Tatiana Chelekhova was awarded at the EXPO ’90 with Silver Price.